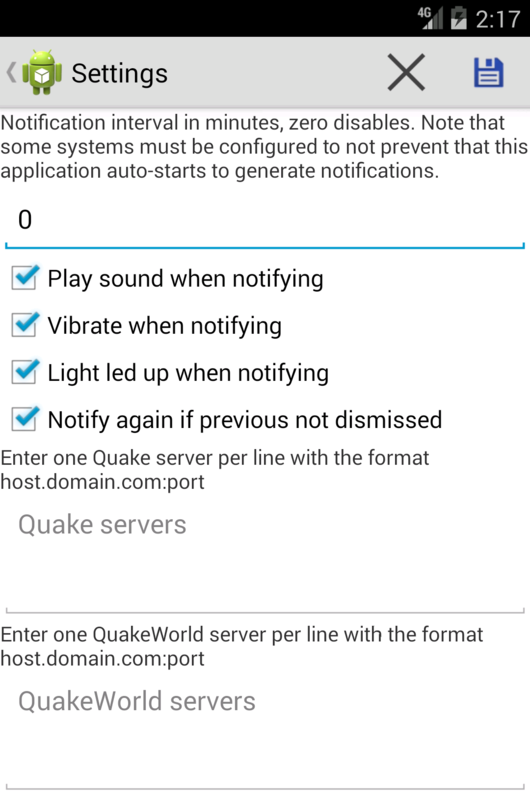 This is a simple program for displaying information about Quake/Quakeworld servers in an Android device. 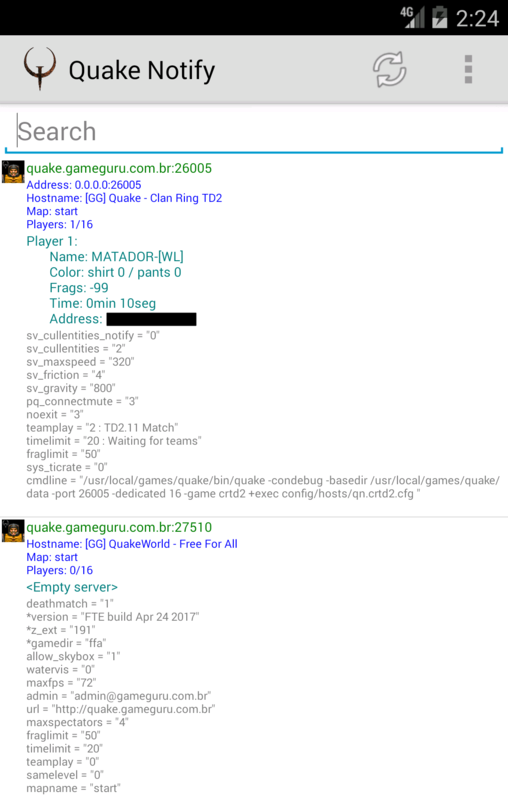 It shows map, rules, player info, etc. There are configurable notification options to let you know when your friends are playing! 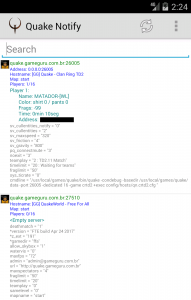 I was quickly done but works very well, try it at the Google Play Store. Free without ads.